The 20-year-old Algeria international made 35 appearances in all competitions for Mauricio Pochettino's side last season as they eventually finished fifth to seal a place in the 2015/16 Europa League, which they are 1/1 to win outright. 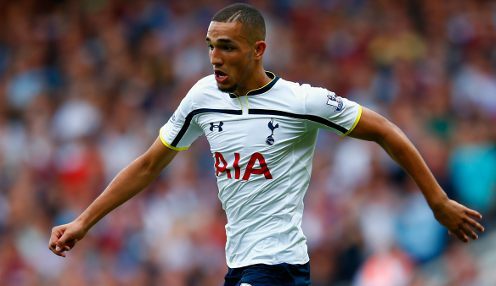 Bentaleb said: "I'd like to say thanks to the club, thanks to my family and thanks to the fans for the support." Meanwhile, new defender Kevin Wimmer cannot wait for the new campaign to start following his £4.3million transfer from Cologne. I'd like to say thanks to the club, thanks to my family and thanks to the fans for the support. The 22-year-old Austria international was Pochettino's first signing of the summer when he completed his transfer to White Hart Lane in May and is thrilled to have the chance to ply his trade in the Premier League. He said: "It was always a dream for me to play for a club like this and to play in the Premier League. Now I'm here, to start training at such an amazing training centre, it's a very good feeling. For a footballer, it can't be better. "I'm really looking forward to the season because I'm enjoying it already on my first day. My team-mates have all welcomed me, they are all very nice and this is going to be a very good time for me." Spurs are 1/1 to finish in the top four in 2015/16 and 1/1 to seal a top-six spot.